In an industry filled with fierce competition, being intentional about culture may be the most differentiating factor. Our team worked directly with the innovative waffle company at Smashed on a full range of services, including: Logo Design, Brand Strategy, Website Development, Photography, Social Media Content Creation, and Packaging Design. But, Culture Crafting may have been our favorite project. Sometimes the best marketing comes from the inside out. While crafting a specialized training program to support the aggressive growth plan that Smashed Waffles was embarking on, the focus quickly shifted to deliver a solution that would promote a consistent scale-able culture across multiple locations. 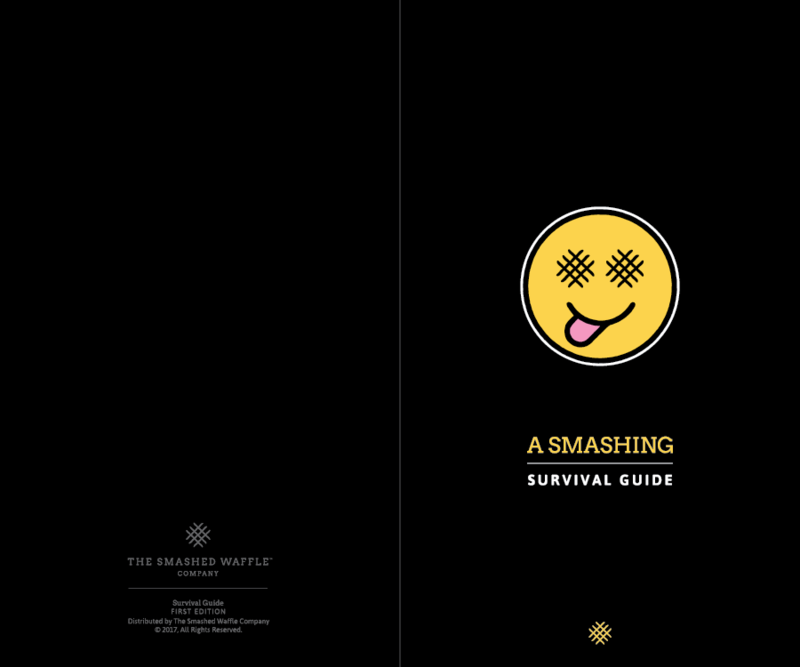 As part of the Culture Crafting program, we developed a small handbook dubbed “A Smashing Survival Guide.” The guide was small enough to fit in an employee’s back pocket, but the contents were big enough to have a lasting impact. Each team member was encouraged to keep a manual on them at all times.